Who are Seat, you might ask? In Europe they’ve been around for many years, but they are new to New Zealand. The cars are made in Spain but they’re part of the VAG group along with VW, Skoda and Audi. The first car to be launched here is the Ateca compact SUV. Seat (pronounced say-at) give us one for a week to see what we thought. 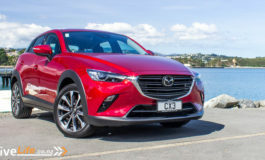 Currently you have four options, starting with the Style spec, at $38,900, which comes with a 1.4-litre turbo petrol engine making 110kW and 250Nm. It’s front-wheel drive with a 7-speed DSG transmission. 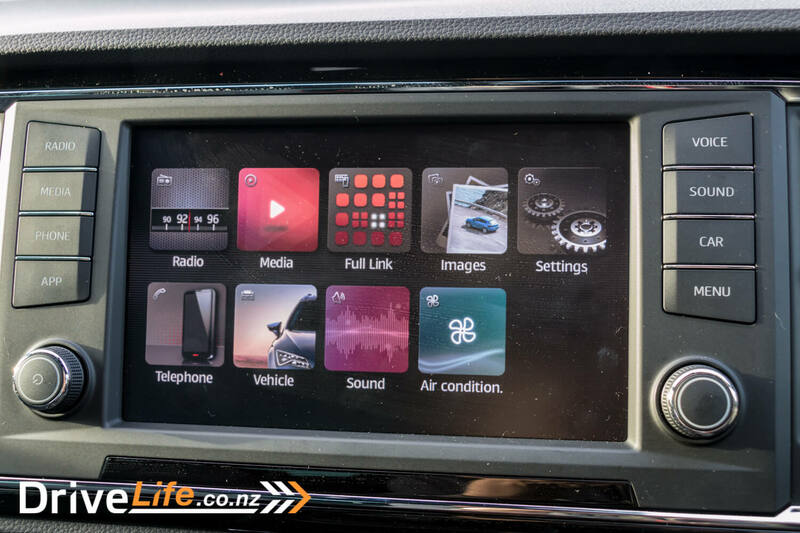 The standard spec is quite impressive, including cruise control, brake assist, pedestrian protection, blind spot detection, rear cross traffic alert, rear camera, airbags at the front, side, curtain and driver’s knees, ASR, ABS, ESC, electronic diff lock, Apple Carplay, Android Auto and MirrorLink, dual-zone climate, auto-dimming mirror, shifter paddles, Auto lights and wipers, heated electric mirrors, rear parking sensors, and 17” wheels. Next up is Xcellence spec, at $44,900 in front-wheel drive or $52,900 in four-wheel drive. This spec has a 2-litre turbodiesel, making 140kW and 400Nm, also with a 7-speed DSG transmission. 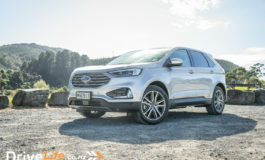 Extras over Style spec include adaptive cruise, top-view camera, sports front seats, heated front seats, LED headlights (dipped and main beam), keyless entry and start, electric tailgate, chrome exhaust pipes and 18” wheels. 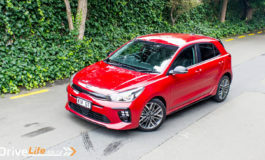 Finally we have the FR (short for Formula Racing) at $50,900 which comes in four-wheel drive only and has a 2.0-litre petrol turbo engine making 140kW and 320Nm. It’s interesting that the petrol and diesel make the same power but the diesel is 0.4 seconds quicker to 100, achieving it in 7.5 seconds. The FR is similar to Xcellence spec with a few minor differences, such as a sports steering wheel and different wheel design. It’s hard to see where the extra $6k goes, and this makes the diesel look like a much better deal. The brochure lists thirteen colours available, including two blues, two whites, grey, silver and black, beige, brown, red, and a rather striking yellow. Our review car was the FR spec, in Velvet Red, and it’s a handsome-looking thing. 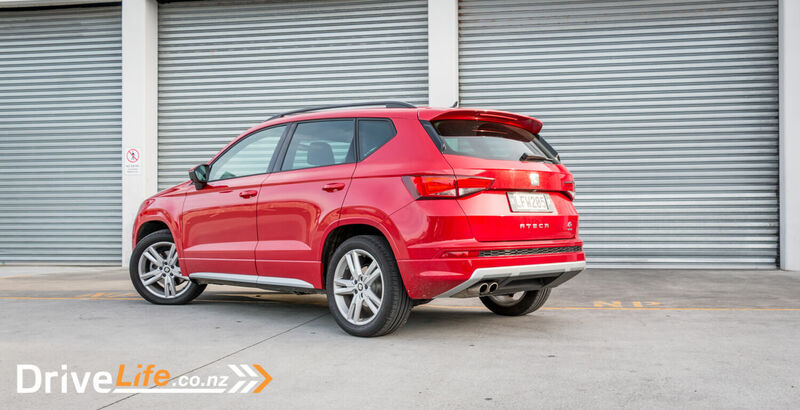 There are some family resemblances to its VAG siblings such as the Tiguan and Karoq, but it has a distinctive Seat face, which we’re soon going to see a lot more of. I’m not a huge fan of the contrasting silver lower trims, but that’s down to personal taste. 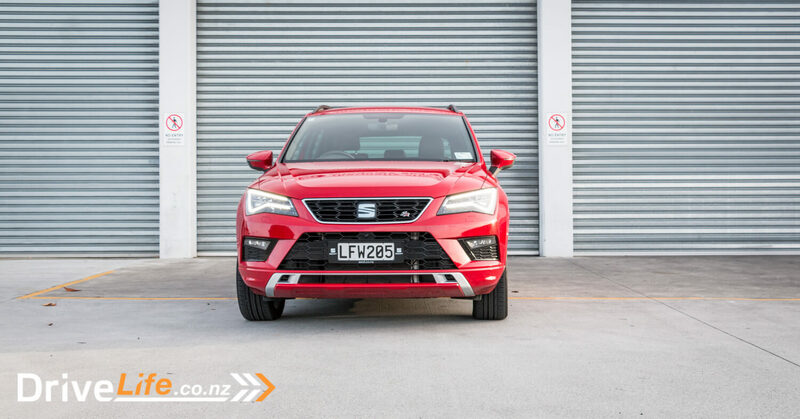 Inside the Ateca, the VAG family resemblance is clear, and that’s certainly no bad thing. 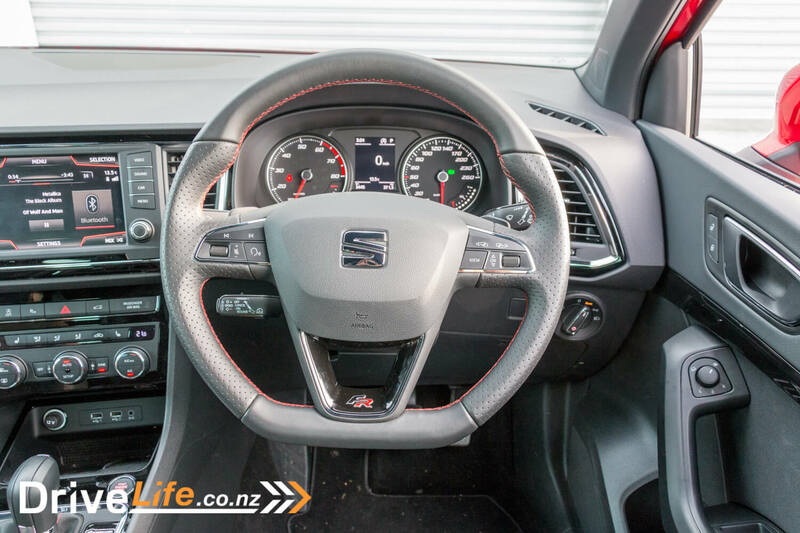 The Seat interior is very reminiscent of current generation Skodas and VWs, but with red highlights and stitching. It’s all rather nice, with piano black trims and a scattering of chrome. The perforated leather-clad sports steering wheel has a flat bottom and lovely shaped grips at nine and three. 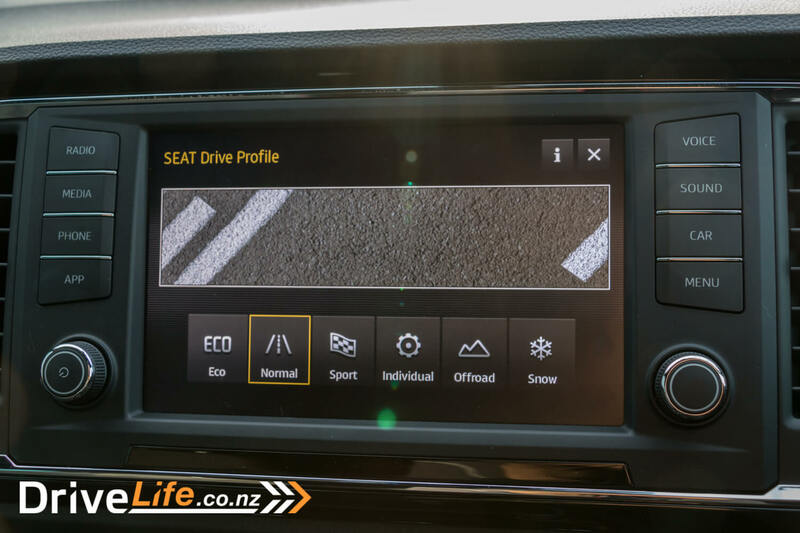 There are fewer buttons on the wheel than a lot of cars as Seat have gone with a stalk for cruise control rather than buttons. I’m not a huge fan of this, I’d rather have more buttons, but after a bit of familiarisation it’s just as easy to use the stalk. The main dash is a pair of large, clear analogue gauges for speedo and rev counter, with a 3.5” colour digital display in the centre which can show various displays including digital speedo, radio info, satnav directions etc. 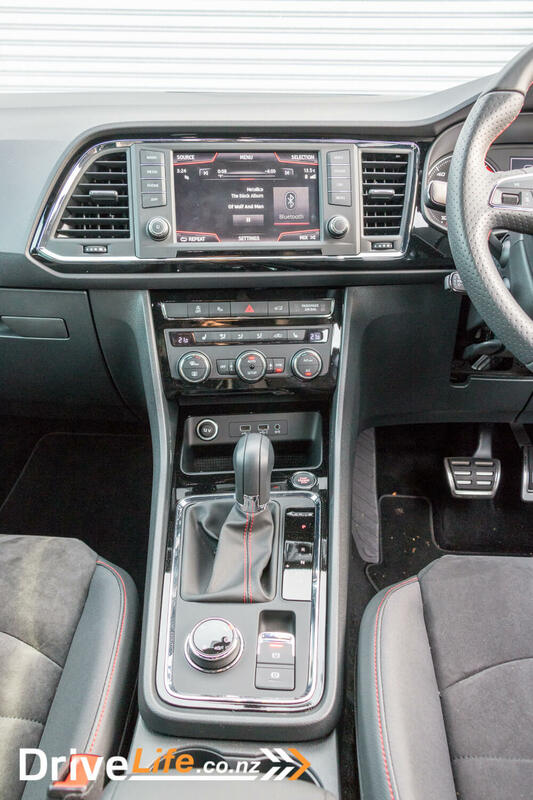 The centre console has an 8” touch screen, used for the entertainment system as well as various car settings and displays, plus the top-down and rear-view camera systems. It’s a good resolution and easy to use. 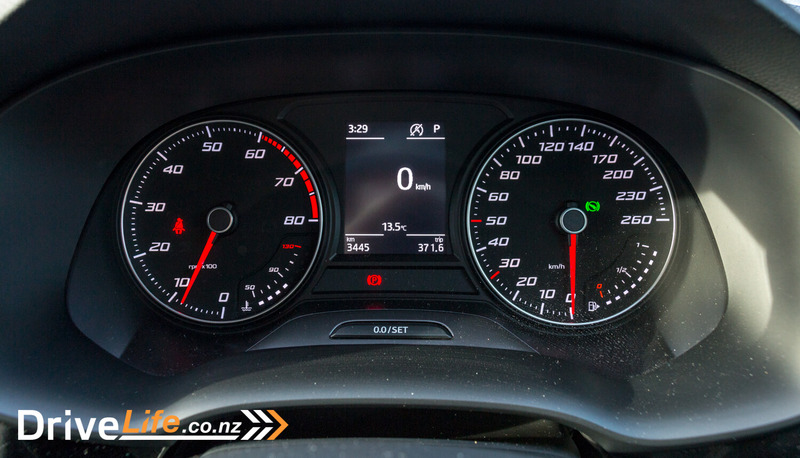 There are even G-force meters, an oil temperature gauge and a lap timer for those SUV track days. The 8-speaker audio system performs well, with clear sound and good bass. I had no trouble pairing my phone via Bluetooth and it worked as it should, automatically returning to Bluetooth when I got into the car each time. 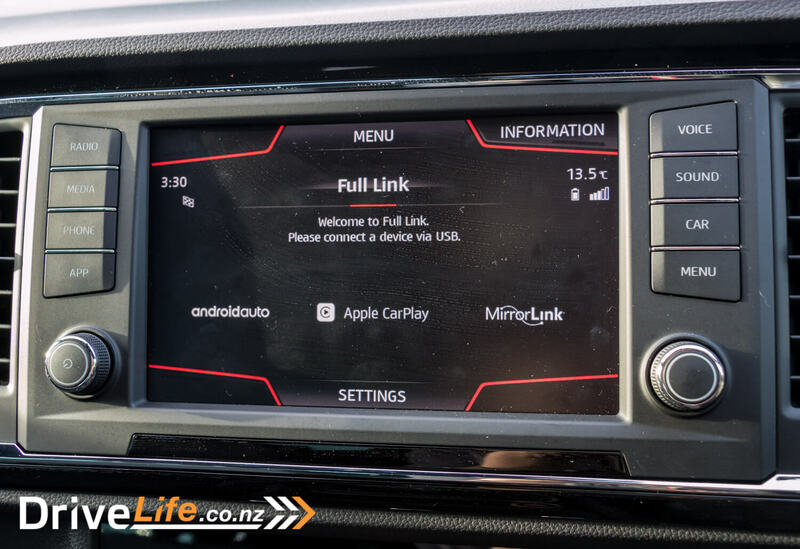 There are also two USB ports, aux input, Apple Carplay and Android Auto included as standard. 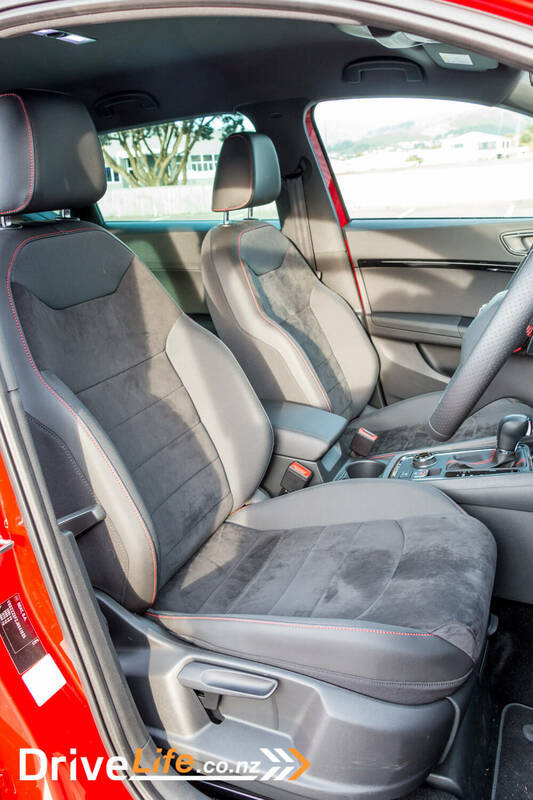 The front sports seats are very comfortable, just soft enough but with side support when you need it. I really liked the alcantara centres and the red stitching highlights. 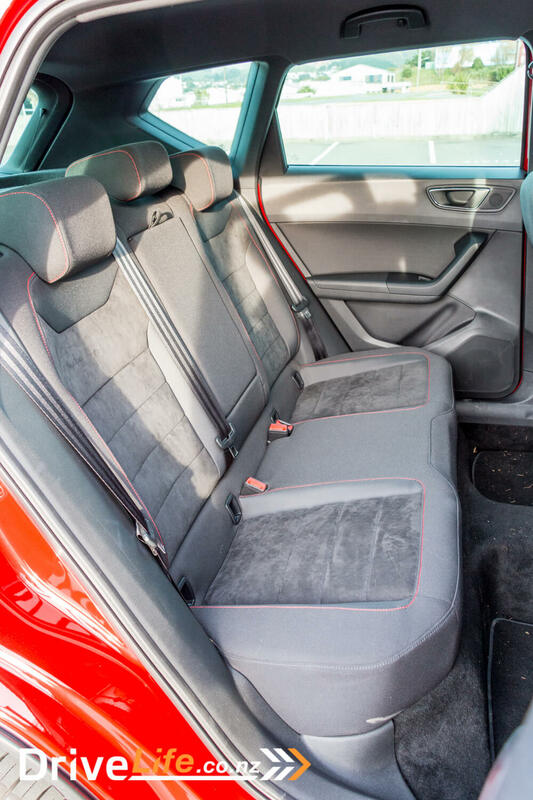 Both front seats include lumbar support adjustment, a feature that the passenger often misses out on in a lot of cars. 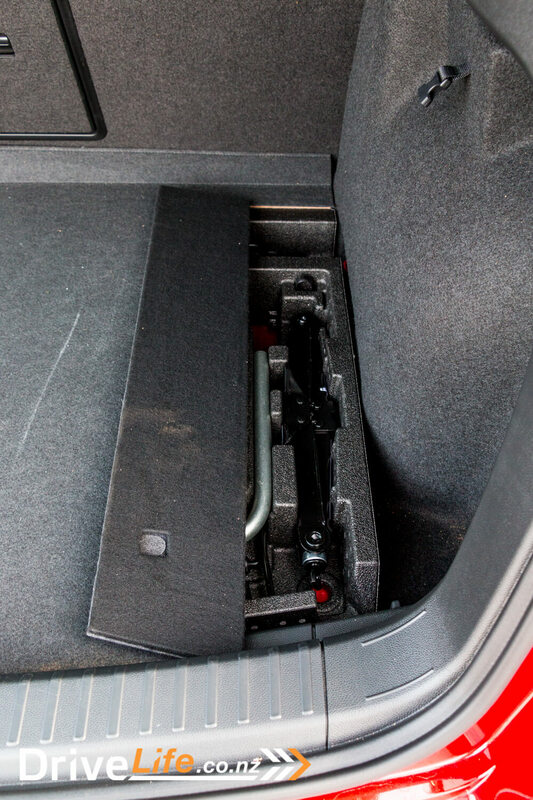 There are storage drawers under the front seats too. 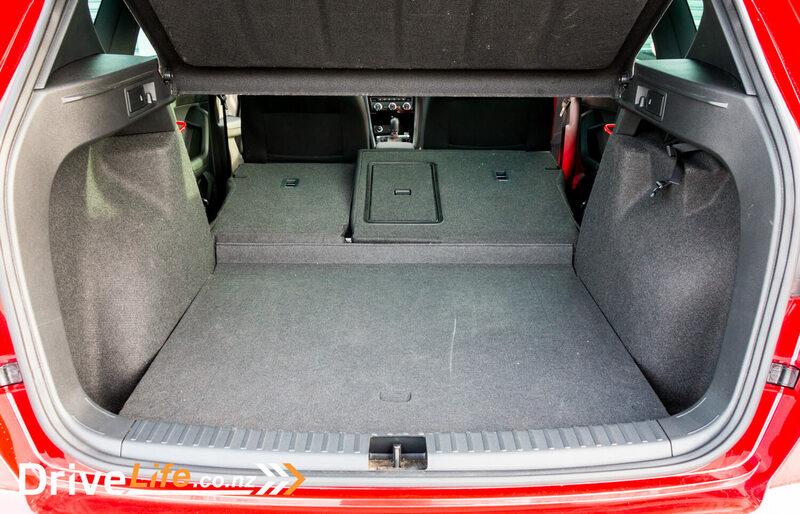 The rear seats are also comfortable, with good legroom. 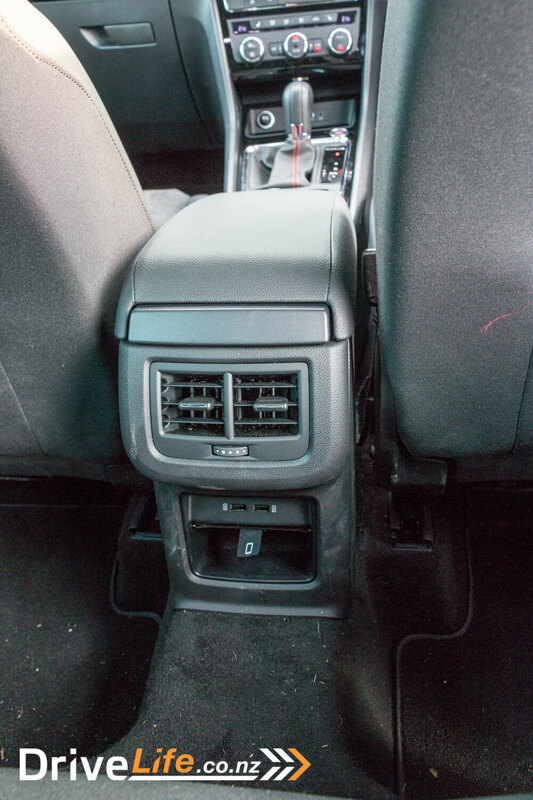 Rear passengers get their own air vent and another two USB ports. 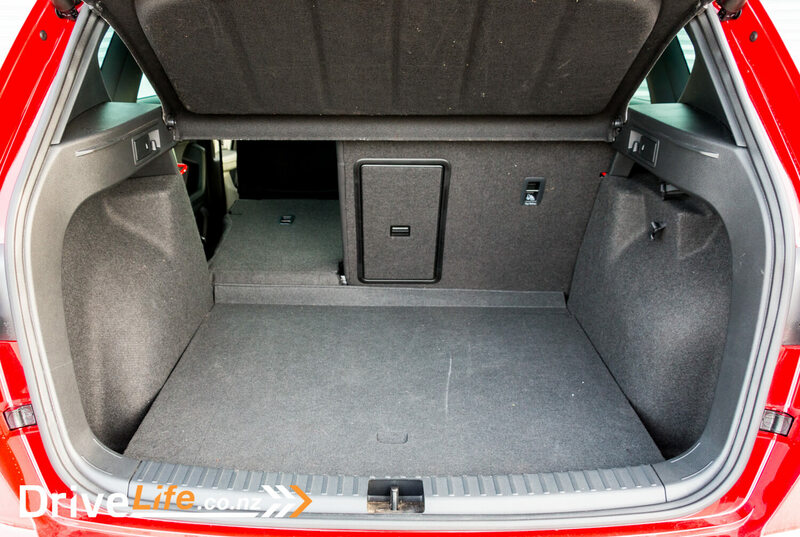 The rear seats are 60/40 split folding for larger cargo loads. 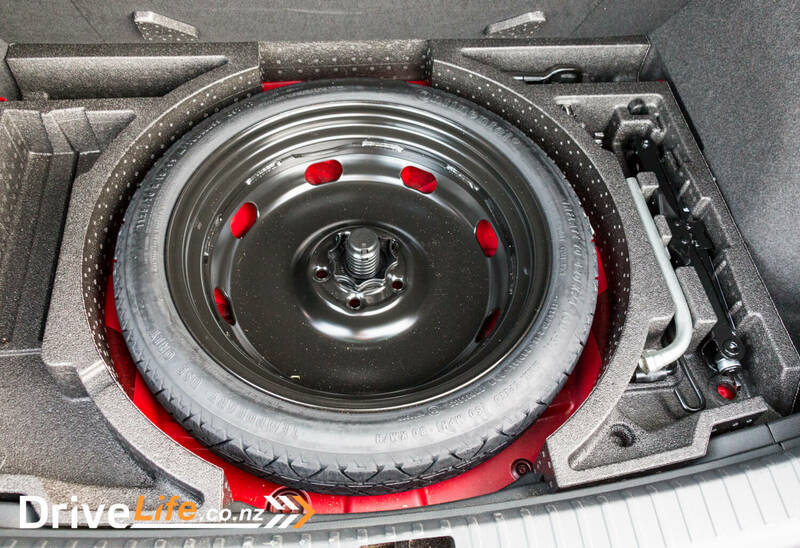 Pop the electric tailgate and there’s a pretty generous 485-litre boot, which includes bag hooks and tie-down loops, though the bag hooks are only really good for a single carrier and not great for the larger re-usable bag handles. 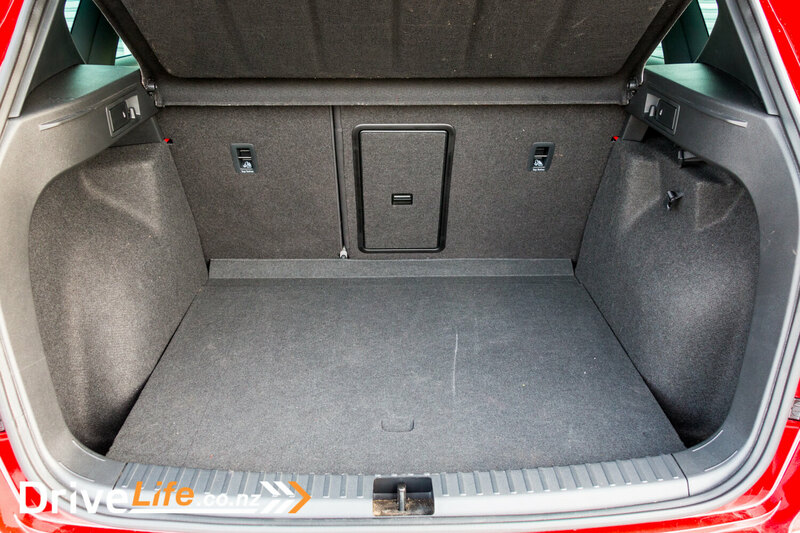 There are a couple of lower sections at either side which are handy for stowing bottles to stop them rolling around. 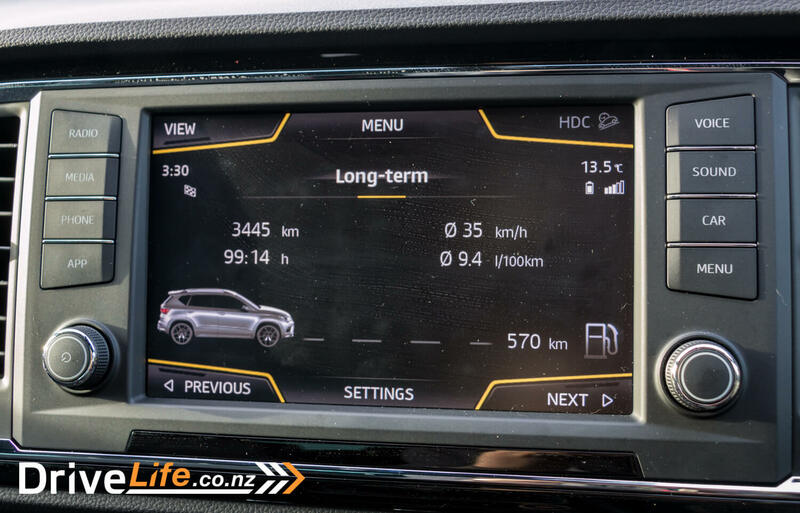 When I first picked up the Ateca and set off down the road I thought it was a diesel! 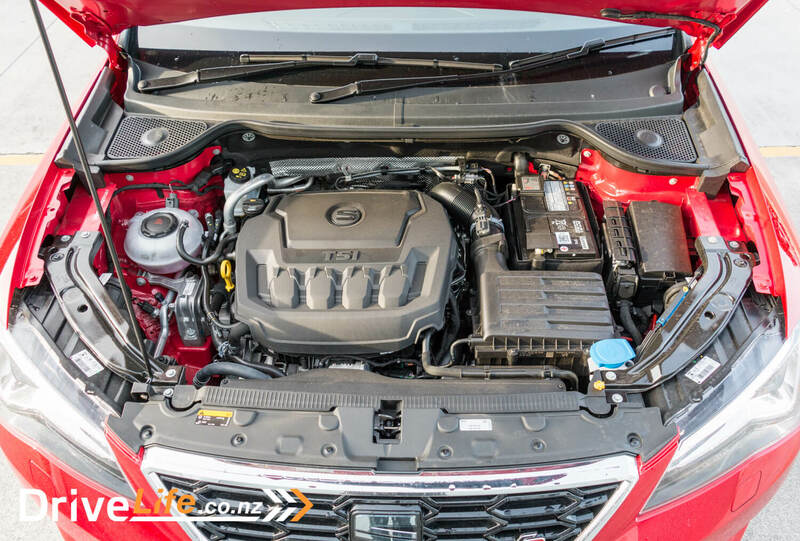 The TSi petrol engine is surprisingly rattly-sounding when it’s cold. Once it was warmed up it wasn’t as noticeable. It certainly picks up well and feels nice and torquey, which is also partly why it fooled me at first. 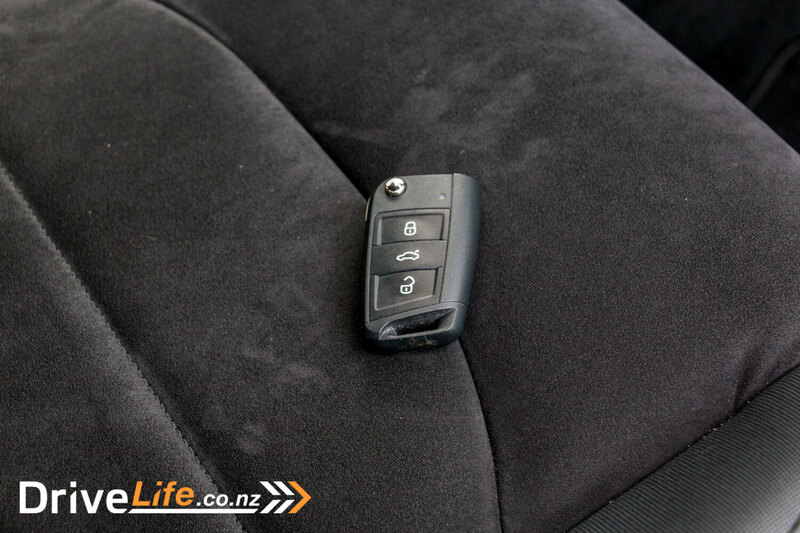 There are the usual selection of drive modes: Normal, Eco and Sport. Plus because this is the four-wheel drive version you get Offroad and Snow. I suspect these last two will not be used by 90% of buyers, and I didn’t get a chance to test them out in the week I had the car. The radar cruise control system works well, making a stop/start traffic commute a much more relaxing proposition. Talking of which, the engine stop/start function can be a little enthusiastic when you come to a halt, stopping the engine before you’ve completely stopped. This seems to be a common feature of VAG cars. 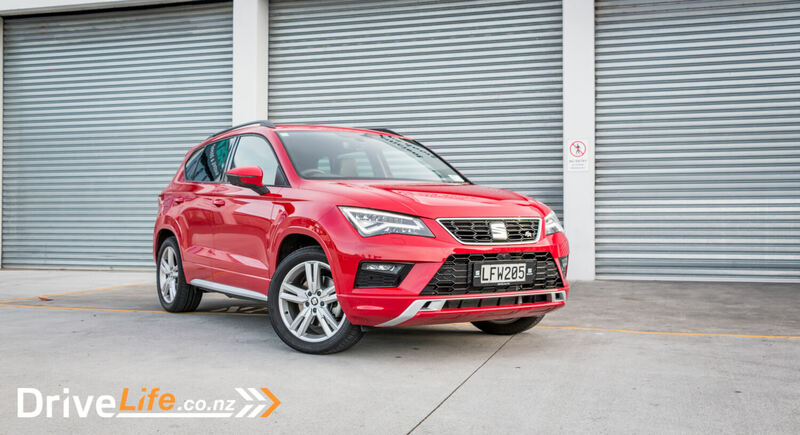 In the week I was driving the Ateca, most of my driving was around town, the school run etc. This is the sort of use that cars like this are great for. 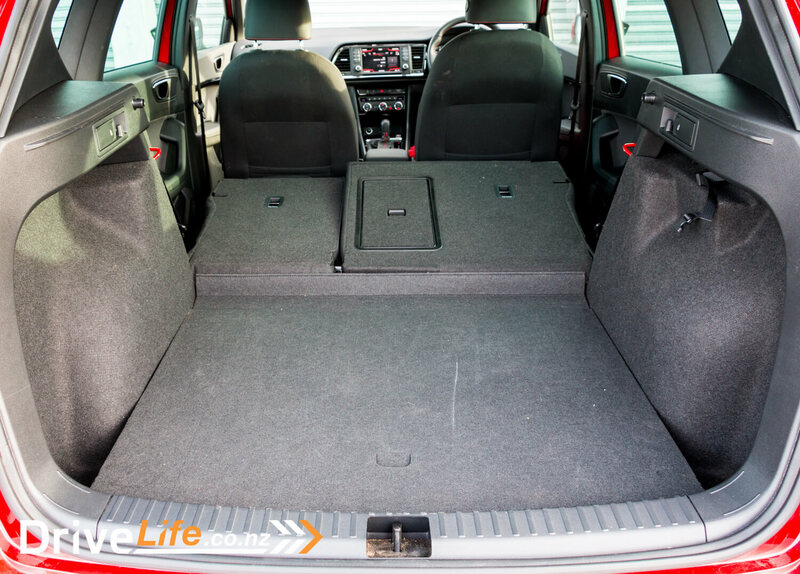 The high driving position gives good visibility, it’s comfortable, practical and easy to hop in and out of. 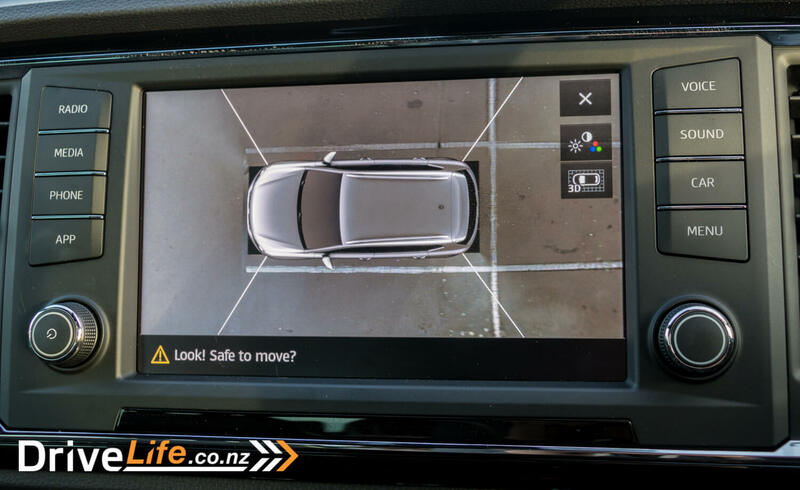 The top-down 360-degree camera view is great and makes parking easy. The suspension is a little soft, which means the ride is good, but there is a bit of body roll on corners if you press on. On the motorway it’s comfortable and road noise is pretty well insulated. When I took the Ateca for a bit of a blast on a back road it surprised me, by feeling much more sporty than I expected. You can have some fun in this car, it’s not just a grocery getter! My fuel usage was a little over the quoted figure at 9.4 litres per 100km but as I said it was mostly around town, so this isn’t unreasonable. 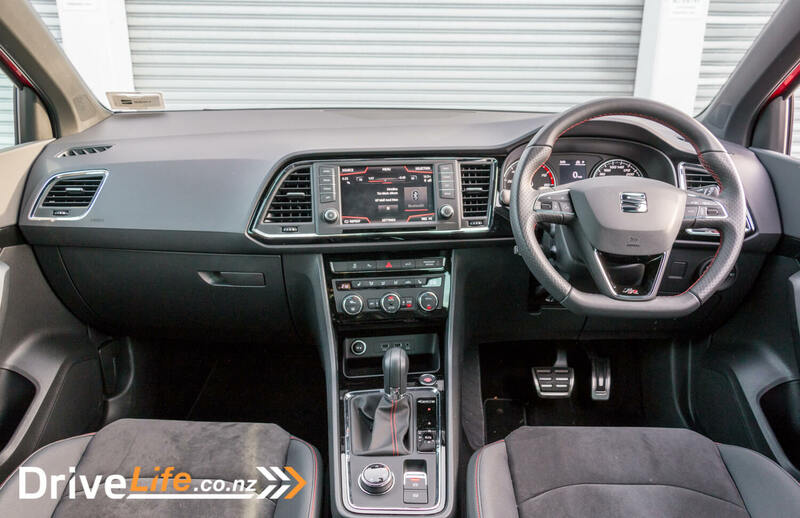 There are a lot of SUVs around these days, and the Seat is a strong contender in its segment. It’s well-priced and comes with a good range of standard features. It’s good-looking, practical and drives well enough to have a little bit of fun. It’s a good all-rounder and would make a great family car. 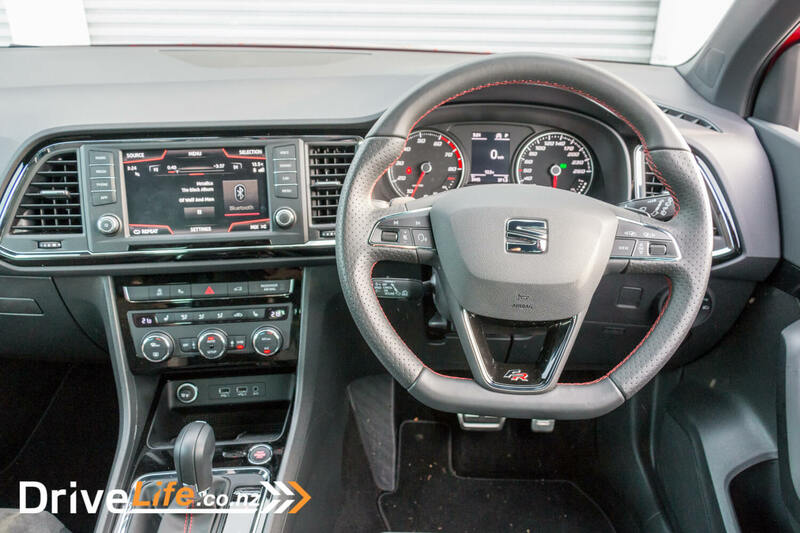 Next article 2018 Suzuki Swift Sport – New Car Review – is it Leaner, Meaner, Swifter?